If you have a life threatening emergency, dial 911. The fire department is a non-profit business. We operate with a corporate structure. The Board of Directors handles the contracts and finances of the department and the Chief and officers handle the day to day operations of the fire department. The members of the department are involved in decisions of membership, major purchases, election of board and officers and operational rules. Voting is done by all full members at our monthly business meetings or special meetings. There are opportunities to work on projects and committees within the department, as well as representing the fire department in public. These opportunities help build teamwork, comradery and offer fun as well. We welcome the expertise, experience and helping hands of all our members. 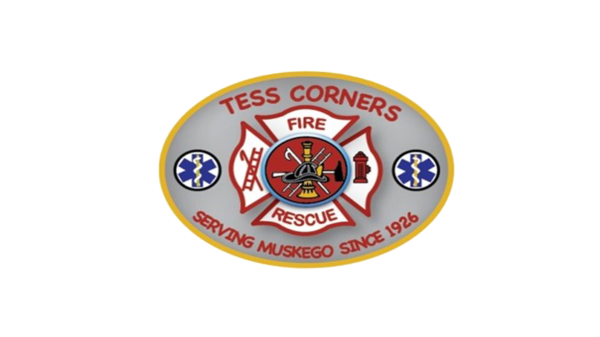 The members of the department show great commitment and dedication to the community of Muskego and also to surrounding communities as needed. We are continuously going through training and education in order to keep the level of service we provide at a maximum. Being a part of TCVFD is a unique life experience. You become a part of something vital to any successful community. The department members are like a family. If you would like to know more about joining our department, give us a call or stop in at one of our trainings on Monday nights. We are always looking for energetic individuals who want to learn and help to serve our community!